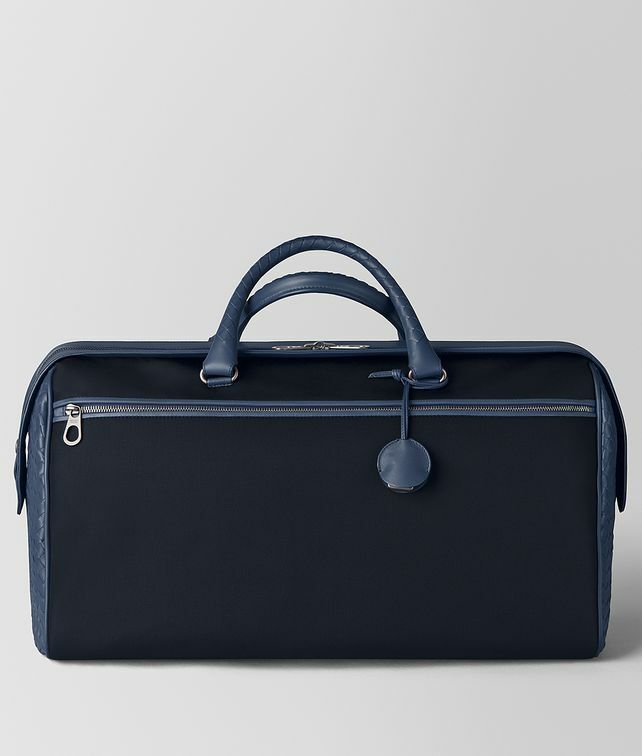 The classic hold-all is skilfully reinvented in substantial tech canvas and matt calf leather. An ideal balance of sophisticated and sportif, this piece is finished with iconic, hand-woven intrecciato side panels and rolled handles. The design is rife with functionality, featuring plenty of pockets, a sleek lock and key, and detachable shoulder strap. Polished hardware in the signature brunito finish completes the look. Height: 26 cm | 10.2"
Width: 46 cm | 18.1"